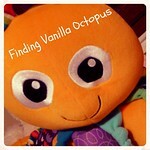 Finding Vanilla Octopus: Her Heart Skips a Beat... or does it? I've mentioned before that Abby is a big fan of Lenka. In fact, after going back and forth with Tom at bedtime over just what song she wanted sung to her, she settled on a Lenka number this evening. "My heart hmm hmm hmm. My heart hmm hmm hmm." Trying to be helpful, Tom suggested, "My heart skips a beat." He was met with a resounding, and prolonged, "NOOooooo." This was followed by, "My heart doesn't skip a beat. My heart doesn't skip a beat." And that's how she's proceeded to sing it for the remainder of the day. She is young and healthy, after all. 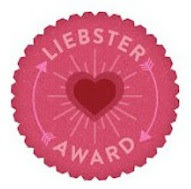 Perhaps it's a commentary on her (no doubt) perfect resting heart rate. We should all be so lucky.